Halloween can be hard for college students surviving off of ramen noodle dinners. Here are some easy, pop-culture inspired costumes that are sure to impress for less this Halloween. Dressing as the viral video sensation is sure to turn heads. But no need to blow money on cow-print two-pieces that you’ll never use again – make your own version of the look with paint! 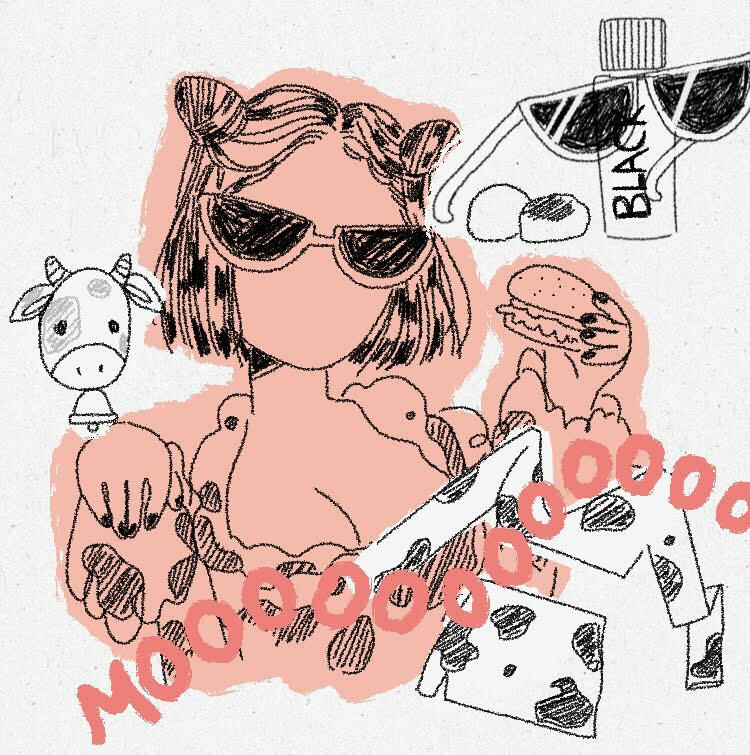 Mix two parts black acrylic paint with one part textile medium, and gradually dab the cow pattern onto a white crop top and skirt. Part longer hair into two sections and gather them into space buns while waiting for the clothes to dry. To finish off the look, pair with white sunglasses. But a word of warning — if you choose to dress as the literal cowgirl, people will sing “moo!” to you all night. If you’re looking for a couple’s costume, The Carters are it. Dye a plain, white pajama set pastel pink and the another pastel green to channel the monarchs of the music industry’s hottest couple. Add the respective diamond and gold jewelry for final touches – real or not, we won’t judge! The cowboy aesthetic is all the rage this year. 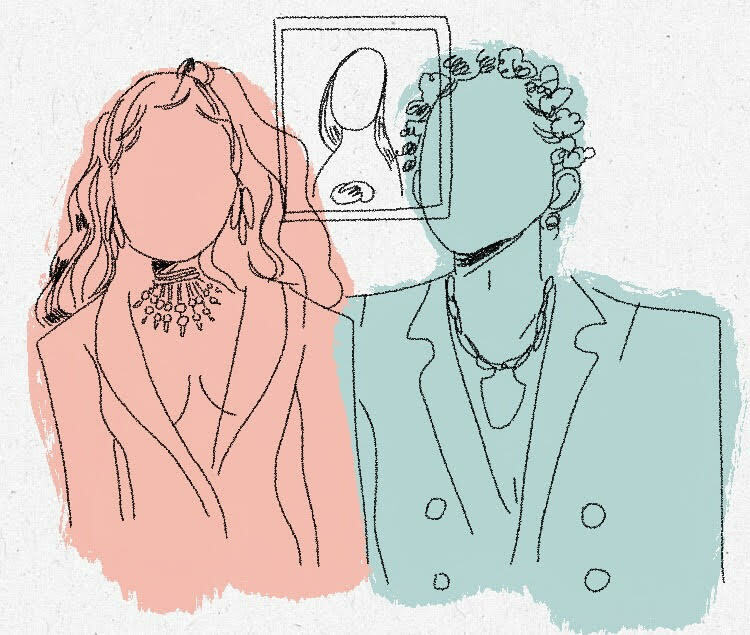 With notable pop culture icons in Mason Ramsey, Kasey Musgraves and Mitski all challenging the traditional look, people have had their fun subverting the image of a westernized, masculine figure. Pair a cowboy hat with anything, from a shirt and pants to a patterned minidress, and you’re set to “yeehaw” all night. With “The Chilling Adventures of Sabrina” out on Netflix this Halloween, the darker revival of the ‘90s classic, “Sabrina the Teenage Witch,” dressing as the snarky Ms. Spellman is both timely and totally doable. Just don’t forget a black cat stuffed animal – your very own Salem! – to complete the look. Before we knew Cardi B wore this look to hide her baby bump at the 2018 iHeartRadio Music Awards, we just appreciated the utter outrageousness of it. Find a maroon body suit and sew on or fabric glue layers upon layers of matching maroon tulle to mimic a loofah. Straighten your hair for a more polished final look. With the “Bohemian Rhapsody” biopic out soon, the influence of Queen’s late frontman is making a comeback in the fashion world. One of his most iconic looks, however, is one of his most simple. 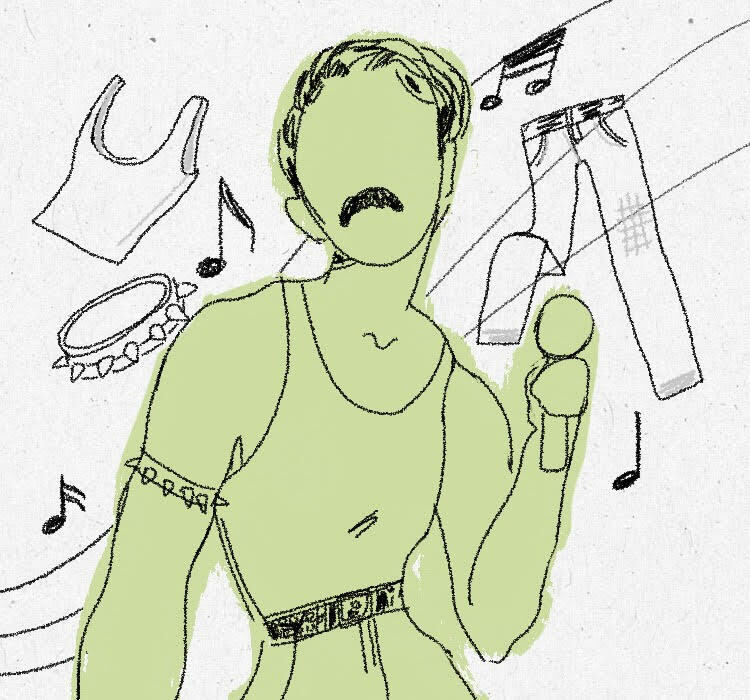 But it’s not enough to just wear pair a plain white tank top with some jeans – his signature mustache and the spiked armband add a necessary flair that will perfectly channel the rock legend at whatever party you end up at. A lot of the pieces that the lovelorn Lara Jean wears can be found in an everyday closet. Fill a box with romantic letters to past crushes, and you’re set. And if you have a Peter Kavinsky in your life, he could easily dress in a simple hoodie and jeans for a quick couple’s costume. Ariana Grande’s highly visual “God is a Woman” music video features a multitude of potential Halloween costumes. The easiest (and cheapest) to duplicate, however, can be made solely with paint. Just mimic the strokes done on Grande’s face as she wades through purply waters for an effortlessly bold and brazen look.